“Geoff Holt is a brave adventurer who loves to tackle projects that no one else will, therefore it is natural for us to continue our many areas of support of him. We are very proud to be continuing the close relationship we have built up over many years.” Paul Strzelecki, Joint Chief Executive, Henri Lloyd. “You are one of the most incredible people I have met. You will never be the person who pushes himself to the front, but the one who silently goes about his business – and lifts himself so high in doing so that you tower way above the rest. Your latest voyage was nothing short of exceptional, but to me that journey is simply a reflection of you.” Dame Ellen Macarthur MBE. “I wanted to personally congratulate you on winning the sport category of the British Airways Great Britons programme. Your determination and talent are truly an inspiration to other Britons.” Willie Walsh, CEO, British Airways. “Raymarine chose Geoff Holt as an Ambassador in 1997 when he was undertaking his ‘Personal Everest’ of becoming the first disabled person to sail single handed around Britain in a modified Challenger Trimaran, and has since supported him in his achievement of becoming the first quadriplegic to sail single handed across the Atlantic. Geoff has proved to be an excellent product Ambassador for us, putting our equipment to the test in challenging environments, as well as showing its ease of use in all conditions and in every circumstance. We choose Ambassadors who work with us on a true partnership basis. We look for that special extra element – a partner who is prepared to go that extra mile and has the drive, determination and stamina to make things happen. We have certainly found this in Geoff. We are delighted that Raymarine is with him all the way, whether on an epic and ground-breaking challenge, or during his relaxation time fishing from his boat, using a Raymarine fish finder!” Fiona Pankhurst Head of Corporate Marketing and PR. 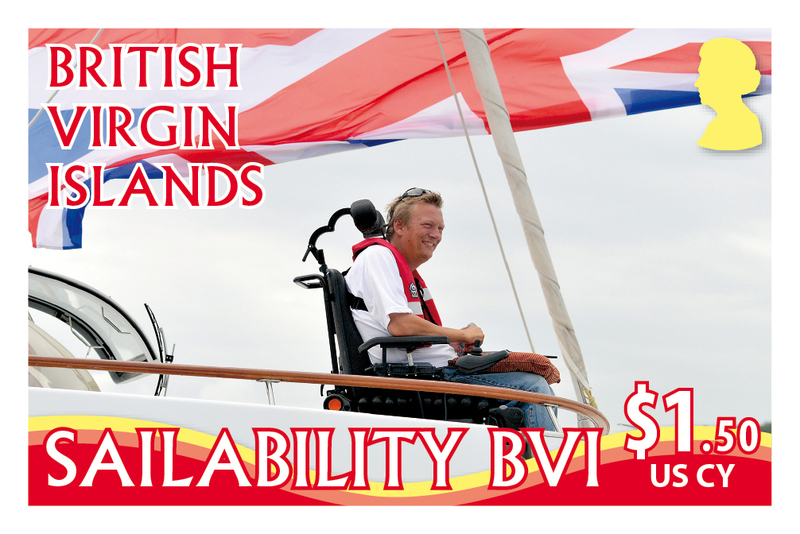 The British Virgin Islands Post recently launched the Sailability BVI stamp issue, a collection of six stamps in honour of Geoff Holt, MBE and Sailability BVI, a local sailing programme based at Manuel Reef, Antigua. 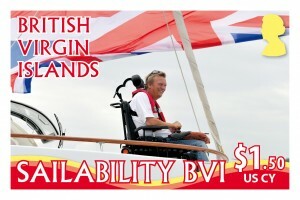 “There is no better time to release the stamp issue in honour of Mr. Holt and the Sailability BVI programme. I am proud to be in the presence of Mr. Holt, who has done so much to expose the Virgin Islands and I am very pleased with the Sailability BVI programme for its strong focus in working with persons with disabilities.” Honourable Ralph T. O´Neal OBE, Premier and Minister of Finance, British Virgin Islands. “I am incredibly impressed by Geoff’s commitment to Sailability and to those who are disabled. He is the champion of Sailability and integrating people into the community.” His Excellency the Governor Boyd McCleary, CMG, CVO, British Virgin Islands.